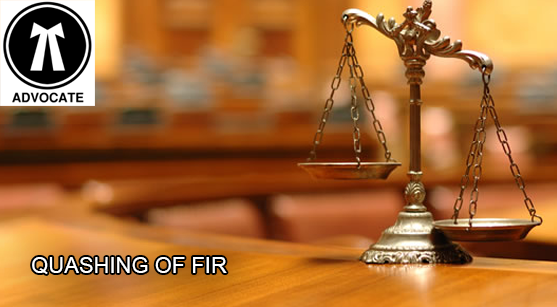 When the FIR is registered against a person, he/she has to face the trail in the court as an accused. Registration of a FIR is a duty of the police on receiving a complaint relating a cognizable offence by a person when prima facie case is made out against the accused, on the behalf of the state. Because it’s a duty of the state to provide a peaceful environment for living a good life for the people. But sometime, A FIR is registered against a person(accused) due to some misunderstanding or with the malafide intention of someone to grab a person in false case. When a person has strong element in his favour to prove innocent himself before the court and could not wait till the end of the trail . In that case person can file a petition before the Hon’ble high court of Chandigarh for quashing the FIR, when the person facing the trial in jurisdiction of High Court Chandigarh. The Hon’ble high courts of the every state have been given the power under section 482 of the criminal procedure code of India. Under section 482 of Cr.pc Hon’ble high court can quash the FIR with the subsequentioal proceeding of the trail court. (g) Where a criminal proceeding is manifestly attended with mala fide and/or where the proceeding is maliciously instituted with an ulterior motive for wreaking vengeance on the accused and with a view to spite him due to private and personal grudge.